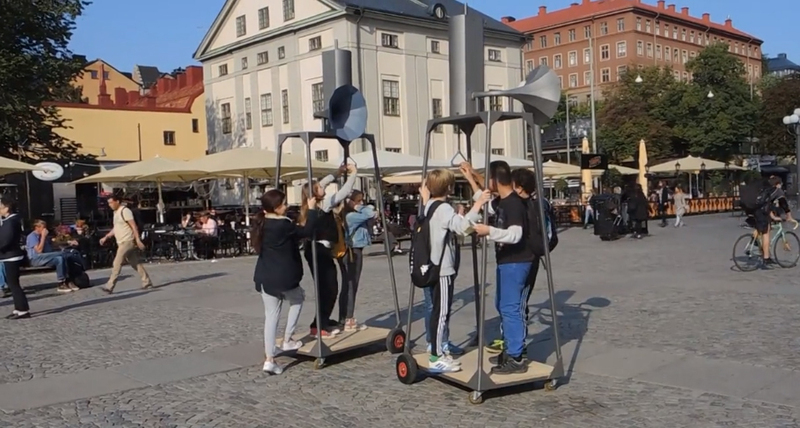 Can new feelings of access, entitlement, and connection to a space come from the use of sculptural sound devices created for interaction and outdoor places? Are acts of communication, movement and creativity in the production of sound an effective way to connect with others and to challenge, listen and learn from an environment? Soniferous Mingle is a continuous developing event where interactive sound devices are introduced into a space for an established time frame. 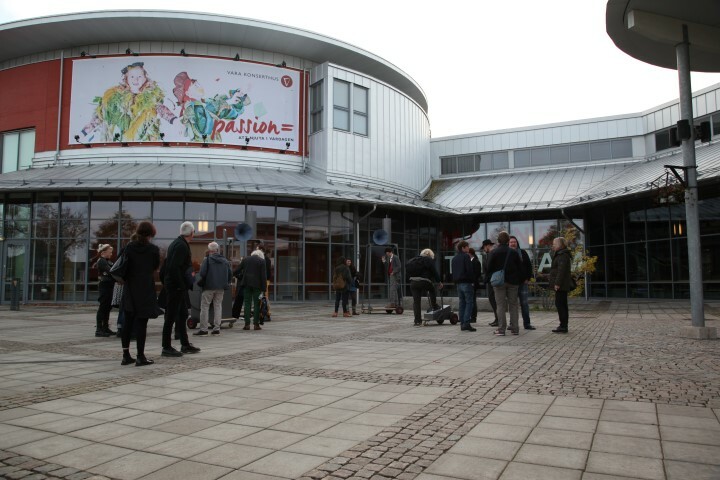 The first mingle was part of the Re(S)0n-Art project through the Architecture and Design Center in Stockholm and has been featured at Magnet new music festival in Vara and other social occasions. 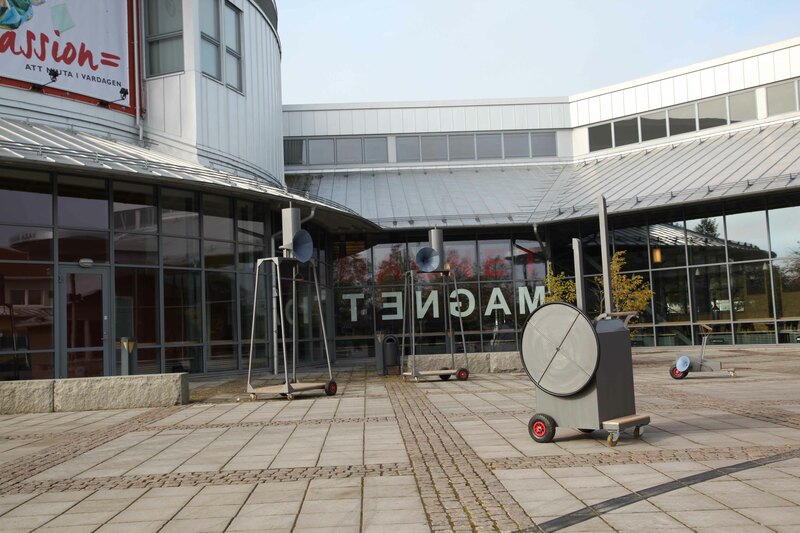 The sound devices presented in a Soniferous Mingle aim to create a stage for communication between users as well as integrate their sounds into the surroundings. 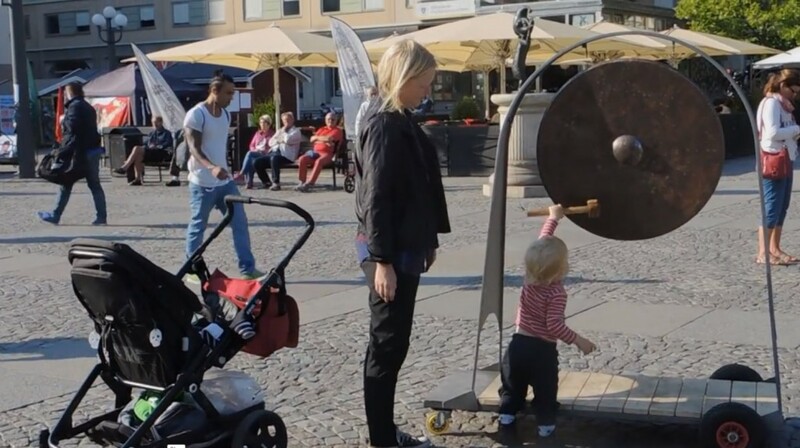 For this action the interactive acoustic sound objects are designed to be usable by children and adults and should be easily movable so that their positions may be adjusted according to the impulses of the user. Visual qualities and placement of the sculptural objects act as physical markers that define a space. Sculptures are activated by pushing and pulling levers, stepping or balancing on platforms. Sounds are mechanically linked to the actions of the users. The devices are designed to signal sounds by movements resembling simple everyday actions for instance the nonverbal gesture of a waving hand. As two users wave back and forth the rhythm and breadth of movement create layers of sound that concoct a type of song and dance perpetuated by dialog and creativity. While the proximity of the sculptures creates a visual space, the dynamic sounds produced by interaction interweaves with the greater soundscape. An improvised action resulting from nonverbal communication and interaction sends a mix of sounds forth which blends with the day to day sounds of the space which might be composed of machines, voices, labor, barking dogs etc. 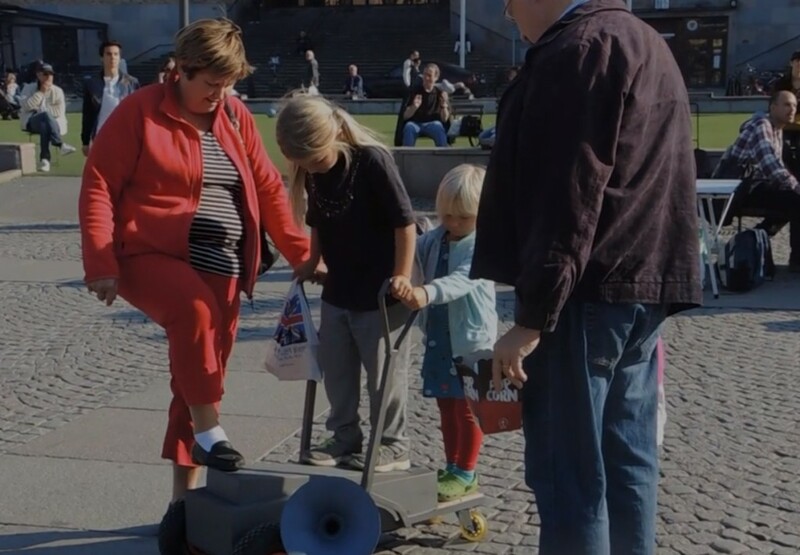 A curious sound maker can move the acoustic sound objects so that the users proximity to other sound sources and other and other physical features of the space can be enlivened, tested and played with. 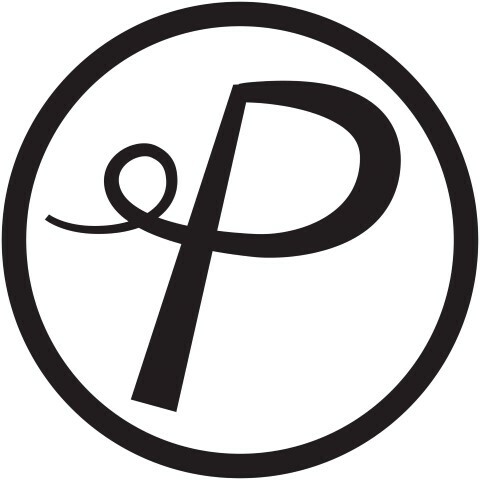 Creative elements of performance in this action are played out by the whims and fancies of whoever the users are at the time and place of the event. All are welcome.